Born on 11-3-1930. She was born in Toronto, Ontario. She later died on 10-28-2009. Edith D. Carter Johnson was a legal secretary and owner of EGO Studios, which worked for more than 40 years to guide and empower young Buffalo women. Mrs. Johnson was the seventh of fourteen children born in Toronto to British West Indies emigrants, John and Louise Carter. She moved to Buffalo, New York soon after her marriage to Theodore Johnson in 1956. Mrs. Johnson worked for attorneys, and at Studio Arena Theatre met a dietitian named Ollie Harris, who in turn introduced her to Grace Diamond, a former model. Ms. Diamond asked Mrs. Johnson to be a commentator for her fashion shows. With her elegant manner and careful diction, she fit the role perfectly and after several successful shows, the three women opened EGO Studios in 1964. The Studio was located on Main Street near East Utica Street. The organization offered instruction in walking and posture, conversation, wardrobe planning and manicures to inspire girls' self-development. In 1967, three years after starting EGO, Mrs. Johnson bought out her partners and continued the studio on her own. Mrs. Johnson noted in a 2006 interview that "The emphasis is feeling good about yourself. I feel if you start from the outside, it will penetrate a bit on the inside, because that's where I want their strength to be." Exercise equipment, therapeutic massage and a sauna were later added to the program. Early on, Mrs. Johnson took her young followers to Toronto for dinner and a theatre production of Porgy and Bess. It was the first of many excursions she would lead over the years. "I wanted the girls to know this is the world you live in, these are the things that go on. You can aspire to have this type of lifestyle and that requires you to continue your education and make something of yourself," she said. Known throughout the legal community, she spent most of her career at the firm of Williams, Stevens, McCarville and Frizzell. Before falling ill, she was with the firm of Cellino & Barnes for seven years. Though she never went to law school, she could easily have been a lawyer, according to her friend, Lois L. Johnson. Johnson said that Mrs. Johnson was an amazing writer. She managed charitable grants for the Josephine Goodyear Foundation for several years and was the author of "Only the Cash Flow is Low", a 2006 book of folksy sayings, tales and lessons she and her siblings heard from their parents. The book featured water-color illustrations by William Yancy Cooper, one of Western New York's leading artists. Mrs. Johnson appeared on many media events, including local newspapers as well as a number of speaking engagements to school children, organizations, corporations, churches, book clubs and book fairs to talk about her book. 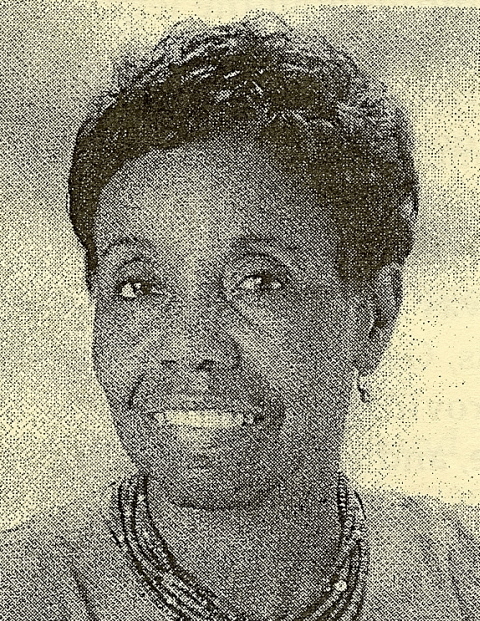 Mrs. Johnson received many honors, including a citation from the National Conference on Community and Justice, a 2004 Black Achievers Award and a community service award from the Buffalo Chapter of Black Social Workers. A memorial fund in her name to spur positive change in city youngsters was established by the Community Foundation of Greater Buffalo.